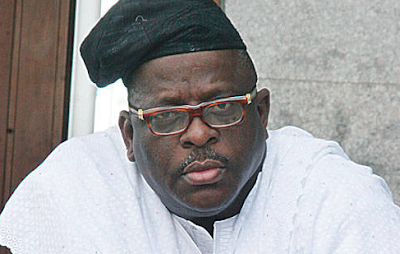 The senator representing Ogun East Senatorial District in the Senate, Buruji Kashamu, has written a petition to the Director General of the Department of State Services, Mr. Lawan Daura, and the Inspector-General of Police, Mr. Ibrahim Idris, to deny the allegation that he was planning to kill a former governor of Ogun State, Otunba Gbenga Daniel. He said there was no way he could have plotted to kill Daniel, who he said was unable to stop his election in 2015. A copy of the petition, which was written on August 25 and received by the IGP and the DSS on August 28, was obtained by one of Punch correspondents in Abuja on Monday. Kasahmu was replying to an earlier petition sent to the two heads of security agencies on Friday by the former governor, where he alleged that the senator allegedly sent assassins to kill him. Daniel, who alleged that the plot was to kill him at his Maitama Residence in Abuja, said that the assassins and their sponsor were not aware that he had left Abuja. However, Kashamu in his defence, described Daniel’s petition as lies and urged the DSS and the IGP to discountenance the former governor’s claim. He said, “As for me, I have no interest in Daniel’s death or that of any human being. If I engaged him as a sitting governor with tact and intelligence, why would I want to attack or assassinate him now? “This was a man who could not stop my election in 2015 despite the Presidential election funds. He worked against me and the PDP at the poll. Yet, we triumphed. “The almighty Allah who has always made me to triumph over my adversaries is on the throne and He will continue to deliver me from their evil plots and give me resounding victory and good success over and above them. “In the light of the above, I wish to urge you to use your good offices to dissect the issues and claims. “I have no doubt that if the issues are critically examined, his petition would be discountenanced as a cocktail of lies, lacking in substance and not deserving of any attention whatsoever.